Balance exercises are often neglected in fitness routines, but having good balance is an important part of overall joint health and injury prevention. One of the reasons that balance training is left out of fitness programs is that it has little impact on how your body looks. Instead, balance training is all about how well your body moves. There are a lot of good looking people whose bodies do work well. As a personal trainer I see 2 things very often. I see very attractive and fit women and men that cannot touch their toes, and I see very fit, athletic looking men and women that cannot stand on one leg-- by the way stretching exercises are neglected for the same reason balance training is neglected. 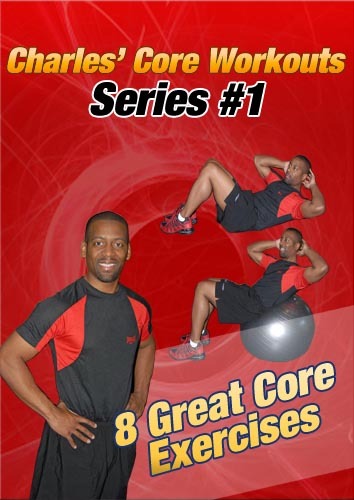 Functional training and core training is all about getting your body to move more efficiently. When your body moves more efficiently, you are less likely to get injured and you will perform regular activities and athletic activities at a higher level. The philosophy of functional training simply says that you should train your body for the functions it will perform on a daily basis. If you want to get better at running, you must practice running. If you want to get more flexible, you must stretch on a regular basis. And if you want improve your balance, you must practice balancing. If you look at activities like walking, running, and climbing stairs you'll notice that many times throughout the day you are actually standing on one leg. A balance exercise is an exercise that is done standing on 1 leg. Your center of gravity shifts when you stand on one leg, so your core muscles must work harder to stabilize your entire body over the standing leg. Running is a 1 legged exercise, so any sport or activity that involves running requires good balance. Another hidden benefit of doing exercises while standing on one leg is ankle, knee and hip stability and strengthening. The small muscles around the foot and ankle really get challenged during balance exercises, and standing on one foot can strengthen the arch muscles. In addition, the small hip stabilizer muscles are strengthened when you stand on one leg, and strong hip stabilizers help to control and protect the knee from excessive stress. When you have injuries to your legs, your coordination and balance on the injured side generally diminishes unless you work on restoring it. If you have twisted your ankle in the past, chances are that your balance on the side you injured is worse than the side that was never injured. The same holds true for knee and hip injuries. Generally speaking when you have a leg injury, you avoid putting pressure on the injured side, and this leads to decreased coordination, decreased strength, and decreased balance. It is important to practice balance exercises if you have had leg injuries in the past. Some simple balance exercises include, just standing on 1 leg for 30-60 seconds. In addition, you can stand on one leg while moving your opposite leg to constantly change your center of gravity. 1 leg squats and 1 leg hip hinges are also good balancing exercises. Once youve mastered standing on 1 leg and basic exercises such as the 1 legged squat, you can further challenge your balance by using a wobble board, core board, bosu ball, foam pad, or any other unstable surface. Begin by just practicing standing on an unstable surface with 1 leg, and then progress to doing other exercises while standing on some type of core exercise equipment. If you want to have a complete core training routine, include balance exercises into your workout. Including balance training is an important part of core training and functional training. Here are some additional core training tips. Whether you're an athlete or just an average recreational exercises balance training should be included in your workout routine.